I'm going to keep today's post short & sweet and to the point. I know I've been talking everyone's ear off about "the sale" for days now but I wanted to quickly compile the top sellers from Pardon Muah that are still in stock for you to shop. I've been watching things like a hawk for restocks but they fly in and out so fast it can be hard to constantly update everyone. The items above, however, are either fully stocked or mostly stocked and all are incredible basics to add to your wardrobe. The splurges are well worth it and all can be worn right now during summer! Oh, I love that! Don't hesitate though because as every day counts down to August 5th (the end of the sale) more things continue to disappear. 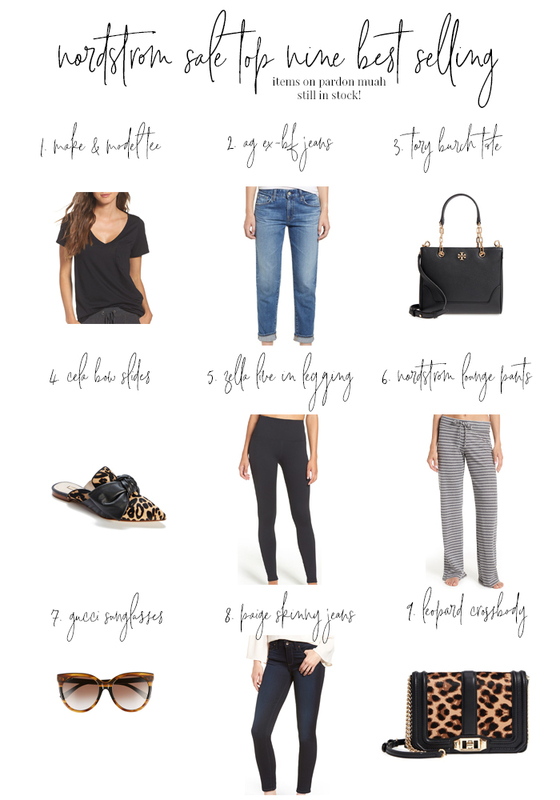 Below you'll find all of my Nordstrom Anniversary Sale posts thus far.